? Note: Starting January 2019, App Restrictions (in Battery Setting) will include restrictions on FCM messages. You can find out if your app is in the restricted state with the isBackgroundRestricted API. Once your app is in the restricted state, no FCM messages will be delivered to the app at all. 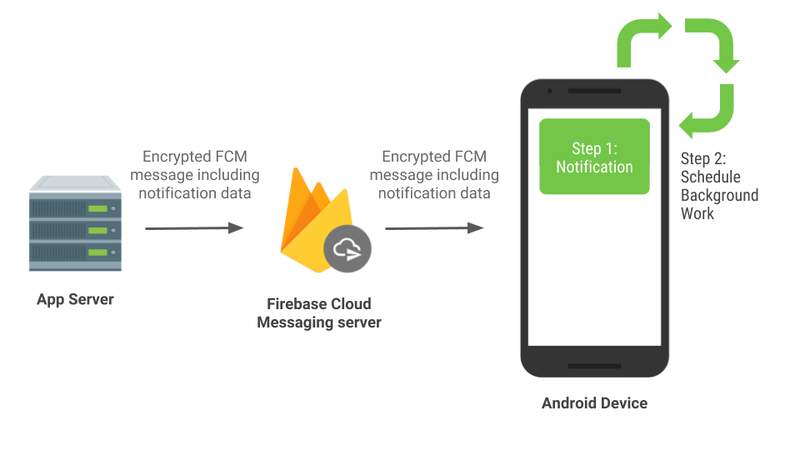 This will apply to both high and normal priority FCM messages and when app is in either foreground or background. 1 WorkManager is the recommended solution for background processing once it's stable.